Upgrade your whole wardrobe — without buying any more clothes! 1. 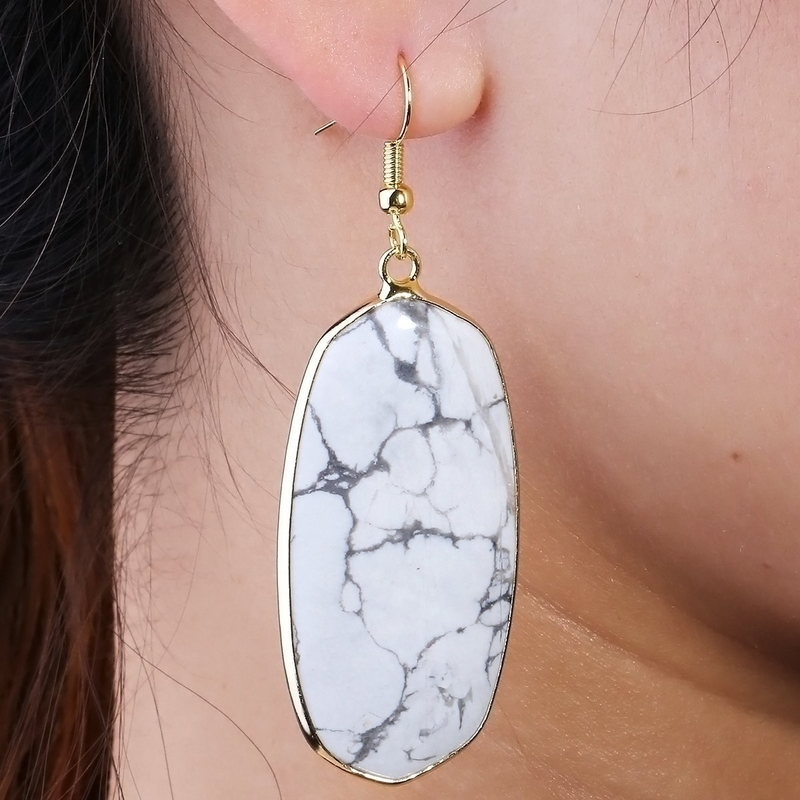 Stone statement earrings available in 45(!) different colors and styles for any ensemble you can dream of. 2. A rose gold headband that'll be way better than any regular flower crown. "Wow, your outfit really ~rose~ to the occasion!" —everyone to you, probably. Get it from Kitsch for $12. 3. A perfectly petite acrylic clutch sized to fit just your phone, lipstick, and wallet. Less schlepping, more glam. Plus, you can attach the chain strap to wear it as a crossbody, too! Get it from Amazon for $25.99+ (also available in black and white). 4. 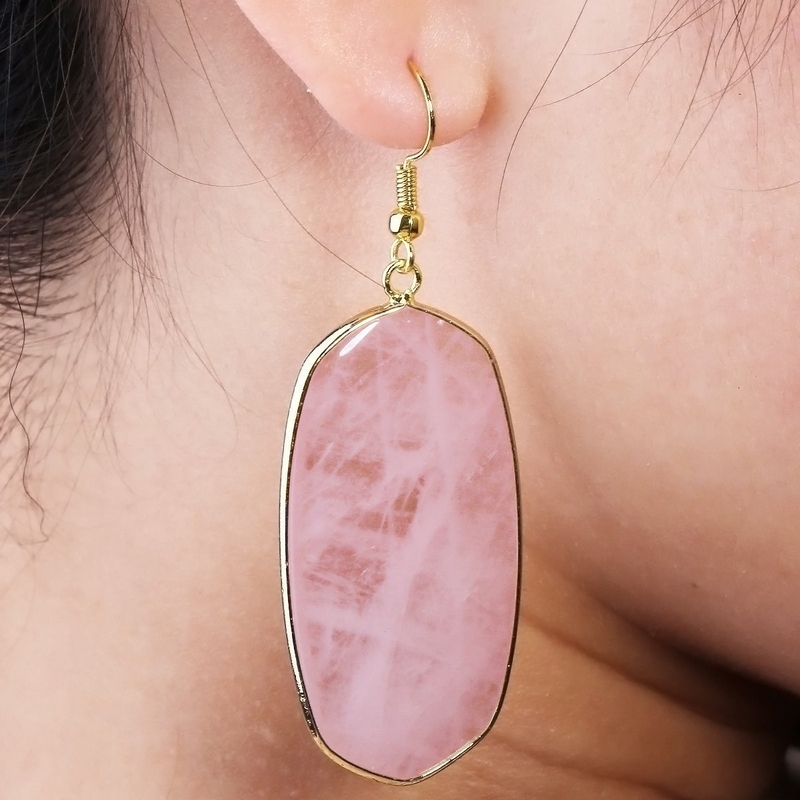 Gorgeous mermaid-inspired earrings you won't have to ~shell~ a lot of money out for. 5. A lace cover-up wrap with a fringed bottom to add a ~layer~ of drama to your vacation look. Get it from Amazon for $15.99 (also available in grey). 6. A packable boater hat to shield your face from the sun AND look impossibly chic — it's flexible so you can cram it in your suitcase for your next vacation! 7. 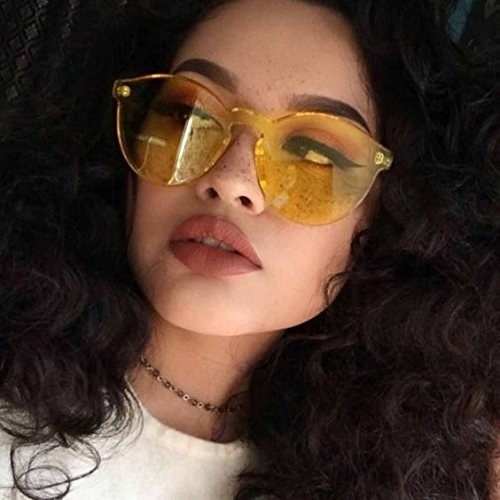 A pair of sunglasses with a tortoiseshell frame and metallic lenses for a perfect combo of retro and trendy. Get them from Amazon for $12.99 (available in six colors). 8. A stunning Art Deco pendant necklace you can say you got in an antique store — no one would know the difference. 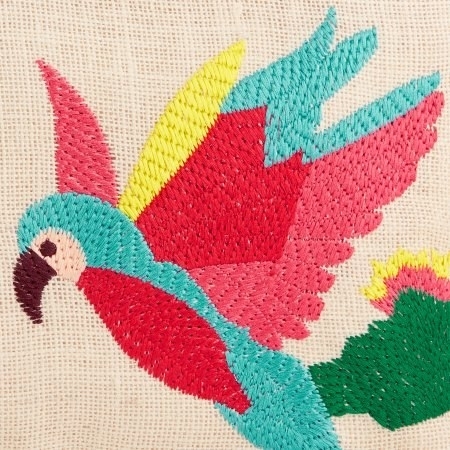 Get it from ModCloth or Jet for $19.99 (originally $25). 9. 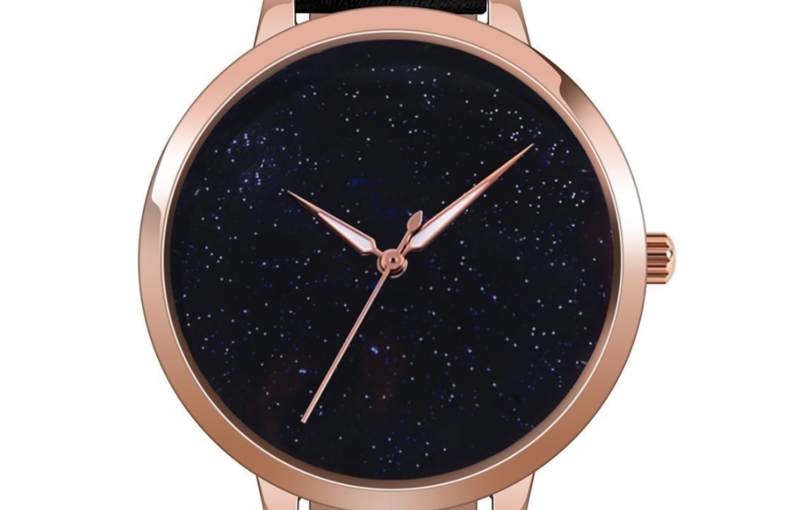 An elegant, minimalist watch with gorgeous detailing you'll want to check out up close. The face has subtle sparkles on it to make it look like the night sky! 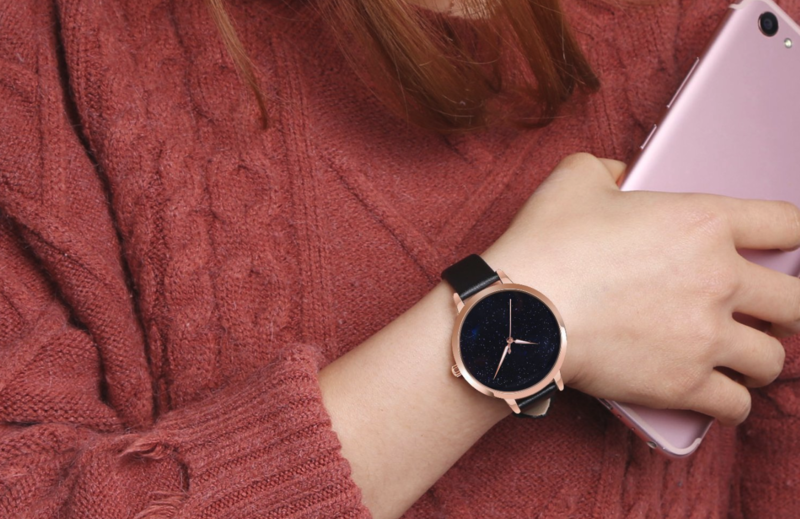 Get it from Amazon for $16.90 (available with five different band colors). 10. A leather-and-ribbon corset belt to make dressing a *cinch*. 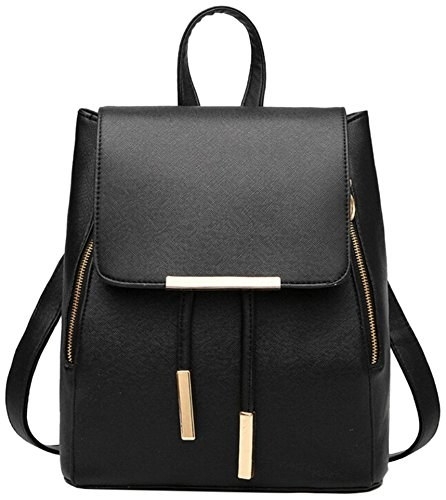 Get it from Asos for $16 (originally $40). Sizes: XS-L.
11. 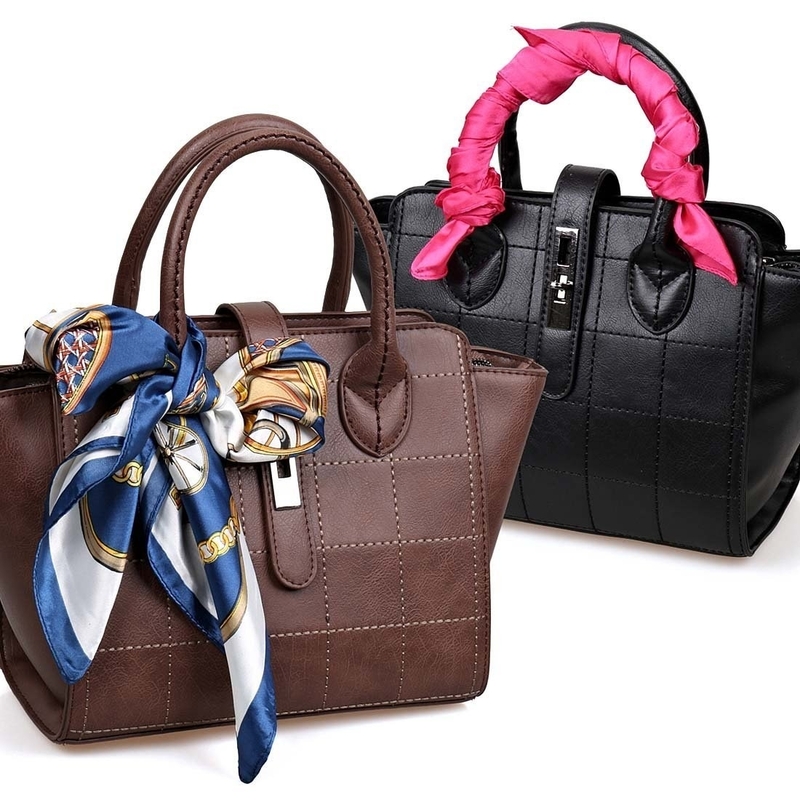 An expensive-looking faux leather satchel for anyone who is looking for a polished and professional work bag. You can detach the shoulder strap completely and stow it in the bag, too! 12. A 14K gold-dipped lariat necklace that'll dress up a white tee or plunging neckline. PLUS, the brand, Benevolence LA, will donate $5 of each necklace purchase to a clean water charity project. Get it from Amazon for $19.95+ (available in two lengths). 13. 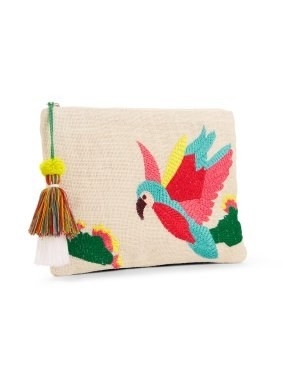 A colorful embroidered clutch for a summer-ready look all your friends will want to ~parrot~. Get it from Walmart for $18. 14. A satin baseball cap that'll make your third-day hair (ok, fourth day) look so much fancier. Get it from Forever 21 for $4.95 (originally $9.90; available in five colors). 15. Fishnet socks with pearl cuffs to upgrade any pair of shoes you own. Get a set of two pairs from Amazon for $9.99. 16. A box clutch that'll let everyone know who runs the world. Now you have Beyoncé's "Run the World (Girls)" stuck in your head, don't you? 17. 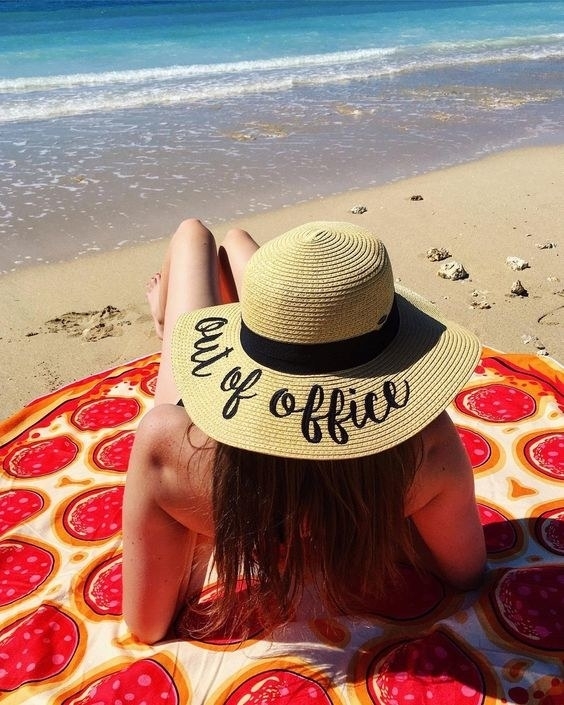 A shady AF hat for the perfect summer Instagram waiting to happen. 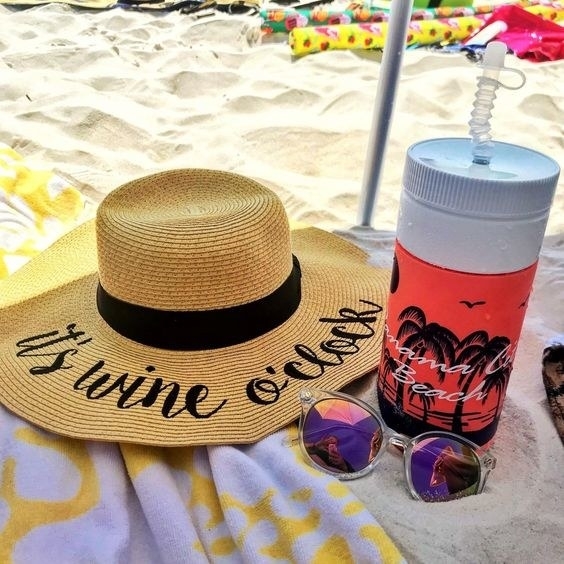 Perfect for when life's a total beach. Get it from Amazon for $19.99. Available in 50 sayings and styles. 18. Pearl drop earrings that'll turn you into the classic Vermeer painting "Girl with a Pearl Earring[s]." Why have one earring when you can have two? 19. A two-pack of metallic belts for anyone who wants to look unbe-leaf-ably put together. Get the set of two belts (gold and silver) from Amazon for $14.99. Fits waist sizes from 28"-47". 20. A pearl and ribbon choker to ~tie up~ a fancy-schmancy look without spending a lot of money. Get it from Baublebar for $20 (originally $42). 21. 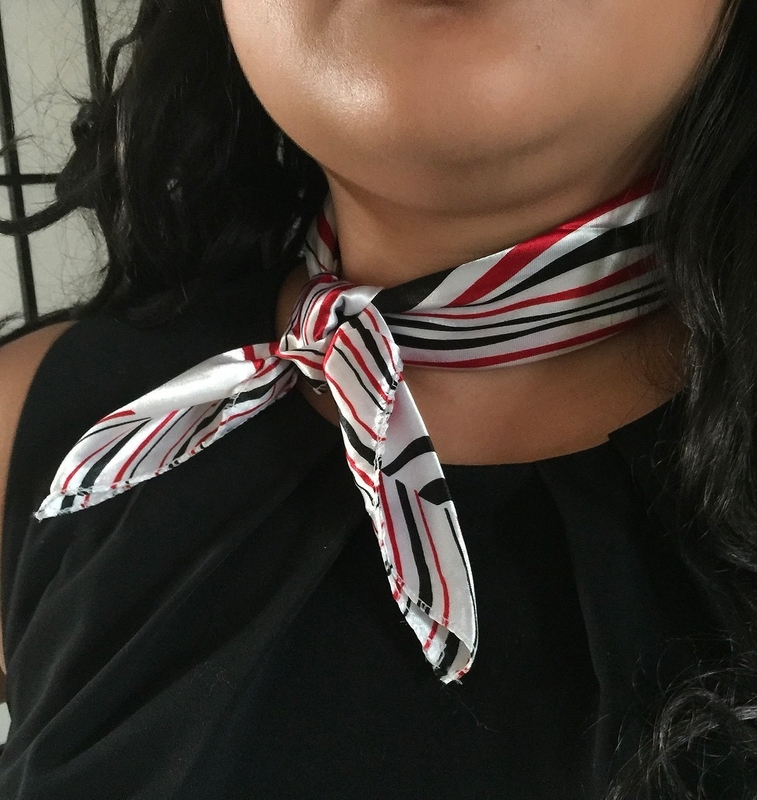 A multi-pack of silky scarves perfect for jazzing up your handbag or tying around your neck or hair. Get a pack of 12 scarves from Amazon for $11.25+ (available in six color and pattern combos). 22. Monstera leaf statement earrings for a trendy look you don't have to ~dangle~ your whole paycheck out to buy. 23. A breezy poncho in a floaty floral print that'll work as a layering piece in your freezing office or as a beach coverup. 24. 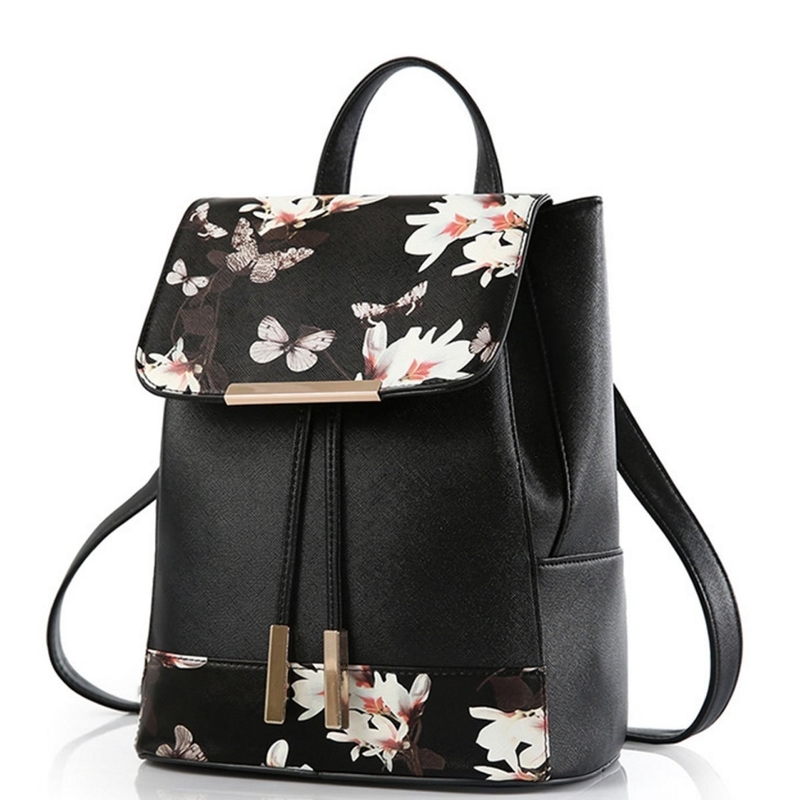 A mini backpack with textured faux leather you'll want to use every day. Get it from Amazon for $23.99 (available in seven solid colors and a floral print). 25. White-rimmed metallic sunglasses for anyone feeling blue (da ba dee, da ba dye). Get them from Missguided for $6 (originally $17. 26. A pair of ombré glitter footies you can (and should) wear year-round. Get them from Piper Elliot Designs on Etsy for $13.95. 27. A structured clutch in a bright red to add a pop of color to an all-black-everything outfit. Get it from Nordstrom for $25. Also available in pink. 28. A rhinestone snake brooch you can pin onto bags, blazers, sweaters, and more for a vintagey look that's sssssstill ssssssuper-cool. 29. 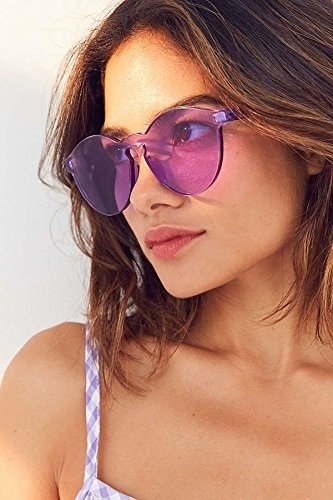 Single-color sunnies, because nothing says ~fashun~ like a monochromatic look.